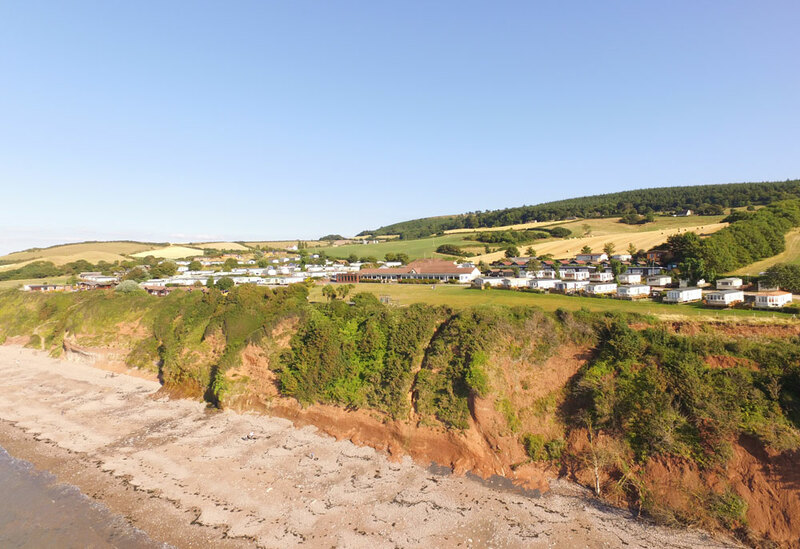 This 2009 Swift Chamonix at St Audries Bay Holiday Club is located on Quantock 12, a sought after end plot, overlooking the sea. This beautiful caravan has been very well cared for and is immaculate inside. The caravan is lovely and bright inside creating the perfect holiday home by the sea. As you walk into the home, you will be swept away by the light, bright airy feel. The front patio doors open out onto the large wrap around deck creating extra living space to the home. Perfect for alfresco dining and lounging outside enjoying the sea view. The lounge has a comfortable 3 piece suite with footstool and the sofa houses a double pull out bed for occasional guests. The home is open plan so the lounge leads through to the dining area which includes free standing table and chairs. The kitchen is fully equipped and everything to get you started. Cooking will be a pleasure with your gas hob and oven with extractor. You can even continue entertaining your guests whilst preparing the dinner! The integrated fridge freezer, dishwasher and microwave are included. This home is a special model “es” which is short for en suite. This home has a shower en suite from the master bedroom, providing you with two showers! Perfect for when you have extra guests or for family living. The bed has an upgraded mattress too, so you can look forward to a good night sleep. This home has a lovely position and comes with a large front and side deck with plenty of space for table and chairs. There is a large parking space too.